In modern cuisine, spices are used to make otherwise bland foods more palatable and exciting. However, spices have been used throughout history for their holistic properties as well. A variety of different spices can treat specific conditions and lead to overall good health in both dogs and humans. 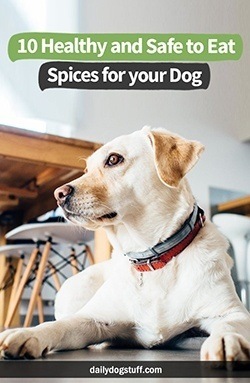 Introducing beneficial spices into a dog's diet can improve their overall wellness. With proper consumption, dogs will experience a range of benefits including improved muscular health, stronger bones, enhanced immune system, heightened brain health, and much more. With that being said, owners should exercise caution when introducing herbs and spices. Some herbs are better for dogs than others. Not only that but every dog reacts differently. 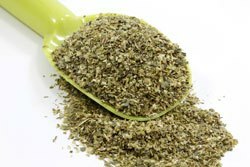 It's important for owners to slowly introduce new herbs and spices so that they can monitor the dog's reaction. Here are 10 herbs and spices that are known to be safe and healthy for dog consumption. Garlic has a bad reputation when it comes to dog consumption. Contrary to popular belief, garlic is actually very beneficial in moderation. It's used by many holistic veterinarians because it's a natural antibiotic. The negative reputation stems from confusion between garlic and onions. Onions contain high amounts of thiosulphate, which can lead to serious health issues in dogs. However, the level of thiosulphate in garlic is so low that it's hard to trace. 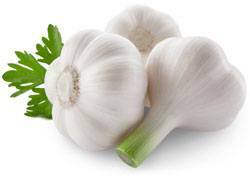 In addition to acting as an antibiotic, garlic can boost the immune system to fight off diseases. It also regulates blood pressure and has antifungal and antibacterial properties. For some dogs, garlic works to keep fleas and other parasitic pests at bay. Ginger comes from the root of the ginger plant and can be served a number of different ways. Whether it's chopped up in chunks or ground up and mixed with food, it provides incredible dietary benefits. Ginger is known to help with digestion. It improves the absorption process of minerals and vitamins from food. The spice can also be used to alleviate the pain and nausea that comes from upset stomachs. 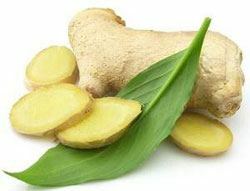 With regular consumption, ginger can help fight off diseases while improving the circulatory system. It has great anti-bacterial properties. Many holistic vets use it to help fight off cancer and other deadly diseases. 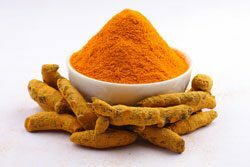 Turmeric is very versatile and helps with a number of different conditions. It comes from a root but is available in powder form. It's high in fiber to aid with a range of different digestive problems. Turmeric is also chock full of vitamins and minerals. Holistic vets use it to prevent and treat a host of conditions including arthritis, anemia, stroke, and much more. It's even known to help dogs with memory issues. 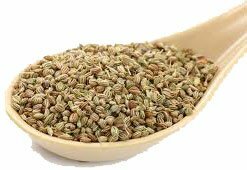 Recent studies have also found that the spice provides a noticeable boost in metabolism. Owners can add a bit of powdered turmeric to an overweight dog's food to help them shed fat and get healthy. This beautiful flowering herb is perfect for treating temporary ailments. It has anti-inflammatory properties, making it perfect for treating infections. In fact, many owners use it to treat common colds and respiratory infections. The herb can be made into a tea or ingested whole. Because of this, owners can utilize its benefits a number of ways. When made into a tea, it can be used to treat ear infections as well as a range of oral problems. Inflammation of the gums and simple bleeding can be stopped by creating an easy-to-use rinse. Basil is a common herb that's readily available and very easy to grow. It's filled with essential vitamins and minerals. It also has phytonutrients, electrolytes, and beneficial oils. The herb is an antioxidant, so it's good for preventing disease and achieving good overall health. Additionally, the herb is anti-microbial and anti-inflammatory. The delicious green herb also has high amounts of beta-caryophyllene, which is known to reduce pain and discomfort in dogs with arthritis. With regular use, basil has been found to make a dog feel better emotionally by reducing stress and anxiety. Flax seeds are an excellent source of fiber that can do wonders to a dog's overall health and appearance. 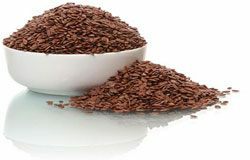 Many high-quality dog food brands utilize flax seed in their formula due to its many benefits. It's rich in omega-3 fatty acids, which lead to a healthy coat. The seeds are also rich in antioxidants, vitamins, and minerals. As a part of a dog's regular diet, flax seeds will lead to a better immune system. It acts as a detoxifier to get rid of bad toxins in the body. It should be served ground up rather than whole to ensure proper digestion. 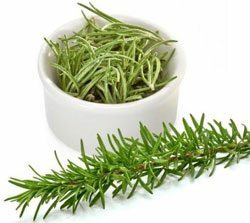 Another easy-to-find herb, rosemary is very versatile and provides a slew of positive benefits. It can be added to a dog's food fresh from the garden or dried up without losing any of the vitamins and nutrients. The herb is high in vitamin B6, calcium, iron, fiber, and much more. It also uses it's anti-inflammatory, anti-septic, and anti-allergic properties to fend off disease and promote good health. The herb can also improve blood flow to the brain, which results in less damage to the nervous system as the dog ages. While most people know cinnamon for its unique taste, the spice is also known for being one of the most anti-oxidant rich foods out there. The high levels help flush out bad toxins from dog food, such as aflatoxins. It's also anti-inflammatory and helps fight off sepsis, diabetes, and much more. Due to its antifungal properties, cinnamon is also great for a dog's teeth. It keeps the teeth clean in between brushing and fights off noticeable halitosis. In terms of mood, cinnamon can also provide an energy boost that results in better brain function and alertness. Fresh parsley not only tastes great, but it provides a number of benefits to dogs and humans alike. When dogs consume the herb, they will experience a number of positive benefits thanks to its high levels of antioxidants, vitamins, and minerals. It helps fight off disease while improving organ function throughout the body. Parsley also helps with dental and dietary issues. When consumed, it helps flush out toxins and soothe an upset stomach. When chewed, the herb cleans the teeth and freshens the breath. While it can be consumed in a dry form, parsley is its richest in vitamins and minerals when freshly picked. Aloe vera is very beneficial to a dog's overall health because it's so rich in vitamins and minerals. In fact, many holistic veterinarians consider it to be one of the best herbs for dogs. It can be consumed whole or as a juice. The herb contains a bevy of amino acids, vitamins, anti-oxidants, anti-inflammatory agents, and so much more. 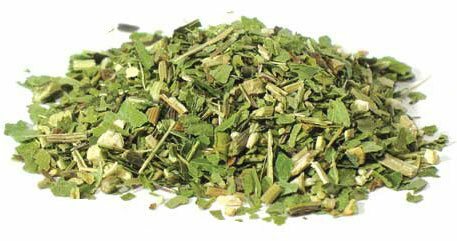 Consuming the herb will boost the immune system significantly to fight off diseases. It also helps to reduce issues that come from allergies. 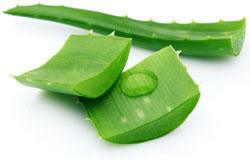 Aloe vera can also be used topically to speed up the healing process of physical wounds. For dogs, herbs and spices are all about the positive holistic properties. The benefits that come from consuming healthy herbs and spices are plentiful. Owners can use them to treat specific issues or include them in the dog's diet for prolonged well-being. Proper consumption of these herbs and spices will lead to a happy and healthy pup.